swsc-d Size: 3 Step Features: -Help to achieve maximum support for pet weight distribution.-High-density polyurethane foam core.-Lightweight and portable.-Machine wash cold, tumble dry low heat.-100pct polyester.-100pct acrylic. 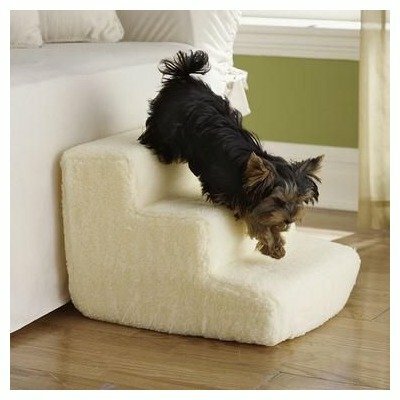 Includes: -Set included pet stairs and optional cover.-Beige shearling cover included. Options: -Available in several sizes. Dimensions: -3 step: 13'' H x 16'' W x 18'' D.-4 step: 17.5'' H x 16'' W x 24'' D.-5 step: 22'' H x 16'' W x 30'' D.-6 step: 27'' H x 16'' W x 37'' D.
If you have any questions about this product by PetStairz, contact us by completing and submitting the form below. If you are looking for a specif part number, please include it with your message.